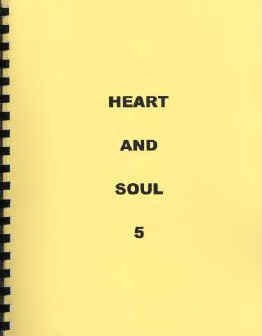 There are six Heart and Soul zines, edited and (mostly) written by Charlotte Frost. In addition, there are 2 stand alone novels of Charlotte's. I will be posting them as I finish coding them. As I do with most zines, I will be presenting the stories as they appeared in the zine, including the editorial and other introductory material that was originally in the zine.